Netflix has changed the way we spend our free time. We don’t have to wait a week for a new episode of our favourite TV shows anymore, instead we can binge watch an entire season in one day – and let’s be honest, we’ve all done it! So, if 125 million people are using Netflix to speed up the way they watch TV programmes, why not use it to speed up the way we learn English too? The thousands of British, American, and other English speaking TV shows, movies, and documentaries can quickly introduce you to authentic English, which traditional coursebooks often ignore, and they can help you stay motivated and entertained while you learn. When we start learning any language, we usually try and translate what we want to say from our own expressions, and our teachers make a lot of the corrections because of this. 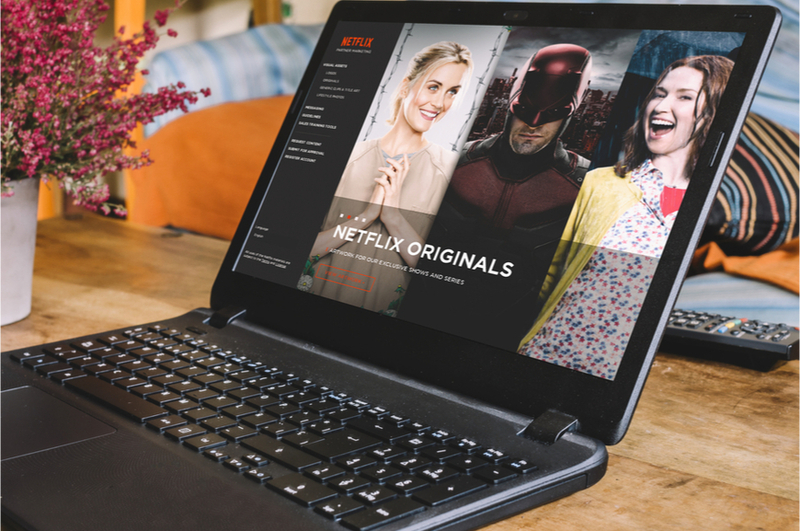 However, by using the conversations from TV shows on Netflix, which usually contain lots of natural language, you can see the differences quite easily and get rid of lots of small mistakes you might make. Start by choosing an English show which you are interested in watching. Change the “Audio” so it is dubbed into your own language, but have the “Subtitles” in English. When you’re watching it, write down four or five short expressions which you hear in your own language a lot, but which you think are translated very differently into English. Then, during the same episode, or even in different shows, try and find the same expressions – and listen to them in English too. Are they always used in the same contexts? Do you think they’re useful for your English? If so, try and use them in conversations and practice them as this will really help improve your vocabulary and your speaking fluency. These expressions are all in the first five minutes of Stranger Things (season one, episode one). Watch the episode and check – what context are they used in, and how would you say them in your own language? Beginning to watch Netflix shows with the audio in English can be overwhelming, however once you get used to it you’ll never go back to watching dubbed versions again. We don’t expect you to understand everything you hear, but don’t worry, that’s normal. When you start you might find it very difficult and frustrating, but if you watch just one short episode of a TV series every day, you will get used to the speed, pronunciation, and common expressions used. This will really help you when you’re having conversations with native speakers, and give you confidence to talk for longer. We recommend that you start with TV series which you’ve already seen in your own language, such as Friends or Modern Family. This is because you’ll already know the story, and you can spend more time focusing on the language. For A2-B1 learners we suggest that you have the subtitles in your own language, so you can check the meaning of any vocabulary you don’t know easily. For B2-C1 learners try and have the subtitles in English, and pause if the characters speak too quickly, so you can make sure you’re following the story well. 1. Why is Ross upset and surprised? 2. What is Joey’s solution? 3. Why did Rachel “freak out”? Now watch it back in your own language and check your answers. 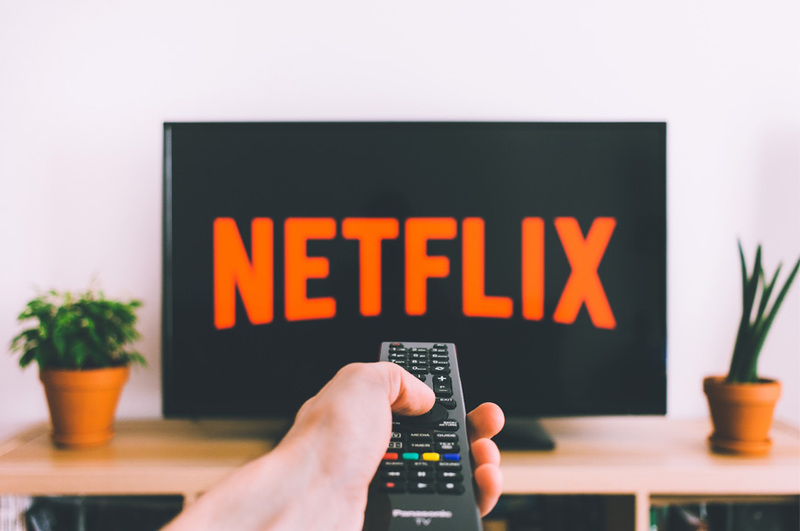 For more advanced learners, such as students preparing for their C2 Proficiency certificate, using Netflix programmes to practise “shadowing” can really help your spoken fluency. The idea is that you listen to someone on a TV show, and try to repeat what they’re saying at the same time. With a bit of practice, this can really help you to improve your speed, fluency, and also your pronunciation. However, this can be useful for lower levels too. Understanding and producing connected speech in English takes time and is something our students often worry about. But copying the lines you hear in famous movies and TV series on Netflix can help you practice some common examples, and even make you sound more natural. We recommend watching a movie or TV series with the audio and subtitles both in English, and then listening for the differences between what you read, and what you hear. This can be tricky, but by using the ten second “back” button to practice saying and repeating some short phrases a few times, you will get used to these important pronunciation features. And what do they call it? Lots of our students travel to different English speaking countries and return to tell our teachers how they find understanding different accents impossible. Netflix is a great place to find examples of all of these accents, and the more you listen to them, the easier you’ll understand them. You can also use Subtitles to help you follow exactly what each character is saying if necessary. Which ones do you reckon are the easiest and most difficult to understand, and can you copy them? The best way to learn a new language is to practice. People talk about what they’ve seen on Netflix at every opportunity – at work, on the bus, at university, at the gym – so try and use this to your advantage. If you’re going to binge watch a TV series, try to watch an episode, a season, or even the whole thing in English. Use the steps above to develop your speaking, listening, and pronunciation skills, and then find an opportunity to practice what you’ve learned. It is very easy to find someone at a language exchange, in a language academy class, or online to talk to about these shows, and everyone has an opinion. Encourage your classmates or English speaking colleagues to watch Black Mirror, (season three, episode one – “Nosedive”) and ask them what they think about it – is any of it true about the way we use social media today? Episode (n): an individual installment of a TV show. Binge watch (v): to watch lots of episodes of a TV series all in one day. Season (n): a sequence of related episodes, usually in one year. Speed up (pv): to go more quickly. Get rid of (pv): to take or throw away. Dubbed (v): to dub is to use a different language from the original version. Overwhelming (adj): an adjective describing a strong emotional feeling. Get used to (v): to become accustomed to something new, so it feels normal. Tricky (adj): difficult, not easy. Reckon (v): to think or believe. Interested in taking an English course at Oxford House Barcelona? Check all the different Summer English classes we can offer you or contact us for more information.